Okay – so I’m a little behind on posting my Thanksgiving recipes. But who’s counting, right? My teeth chattering trip to New York was totally worth the delay. 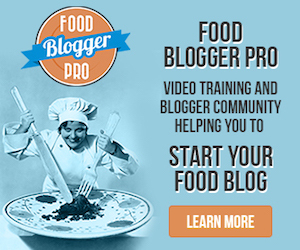 And why should it matter when a recipe is so good it can be made anytime? And this side dish actually tastes like dessert? Done. Made. Eaten. Just put the words Fall, Christmas, Holiday, New Year’s Day, or Kwanza in front of the name and nobody will know the difference. Example: Here is your Birthday Cranberry Apple Sauce! I swear it’ll work. The only complaint you’ll get is why didn’t you make more? I had never made homemade cranberry sauce before. That seemed like a task for real divas. I quietly ate the canned stuff without complaint. Hey, it’s good. It just doesn’t look so great. 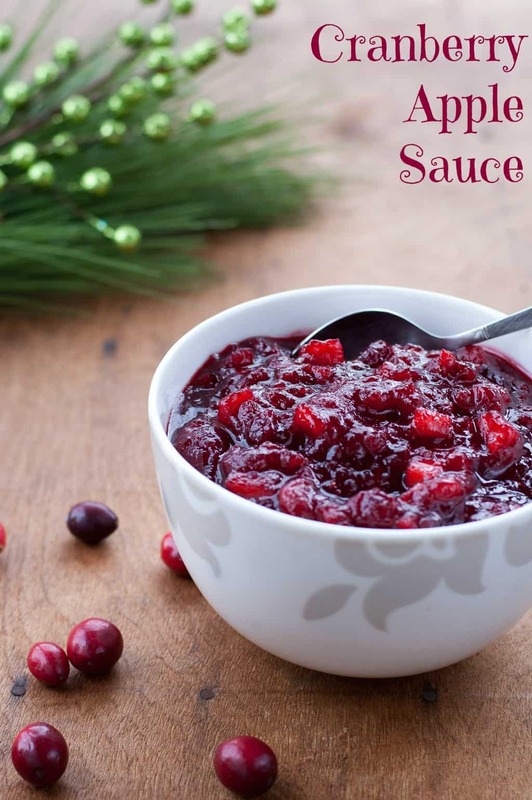 This Cranberry Apple Sauce is a recipe I tore out from Cooking Light magazine years ago. I have no idea what year it’s from but I’m so happy I saved it. It was embarrassingly easy. It has kind of a chunky relish consistency and is blended with your favorite fall spices. The perfect blend of sweet and tart. Yum! Serve it with turkey, chicken, cold cuts, cheese, salads, and – let us not forget the most important meal of the day – dessert! In medium saucepan, combine all ingredients and bring to a boil. Reduce heat and simmer, uncovered, for approximately 15 minutes or until thick. Stir occasionally. Cool sauce completely and feel super cool for upgrading from the canned stuff. This sauce can be made 1-2 days ahead and stored in the refrigerator. You should try this, this year! Even if you end up out of town for Thanksgiving. Nice recipe! 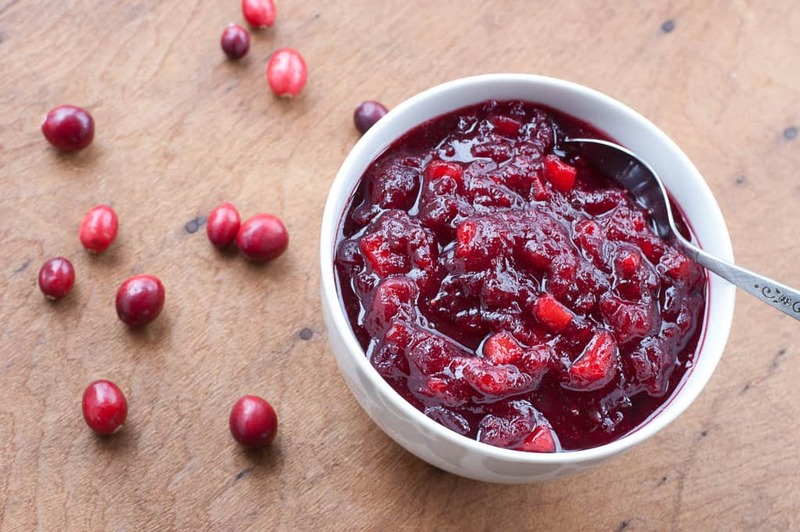 Those photos are to DIE for … perfectly placed cranberries – oooh la la! Thanks! lol “perfectly placed”. I swear, I just tossed them on the table! I am so excited to try this because I am hoping to put it inside of my crescent wrapped Brie cheese I making! Do the cranberries soften easily??? Yes, by the time the 15 minutes are up they should have all popped open. It’s more like a relish consistency rather than a sauce. It’s a chunky sauce 🙂 However, I made this yesterday and I used frozen cranberries that I thought I had thawed all the way (turns out they hadn’t thawed) so some of the cranberries didn’t pop. Just make sure the are completely thawed first, or use cranberries that have never been frozen. I’d love to hear how it turns out with that amazing crescent wrapped brie cheese. Sounds so good! I made this recipe in December (2015) for our quilt group and it was great! So EASY and the cranberries popped ever so nicely. I have never been a “fan” of the lump of cranberries out of the can, on a plate, so this was a perfect recipe to try! It was so good!!! !